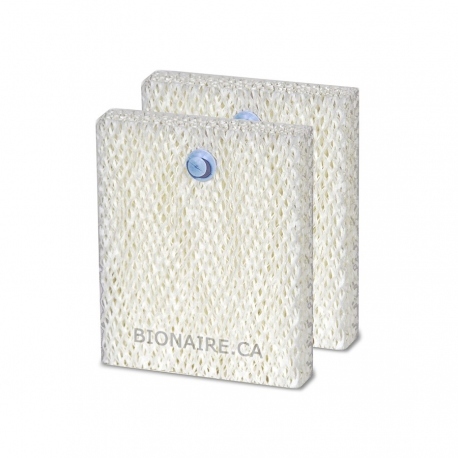 Bionaire BWF2002P Long-Life Wick Filter 2-pack - 3x Longer Lasting washable filter for Bionaire cool mist humidifiers. 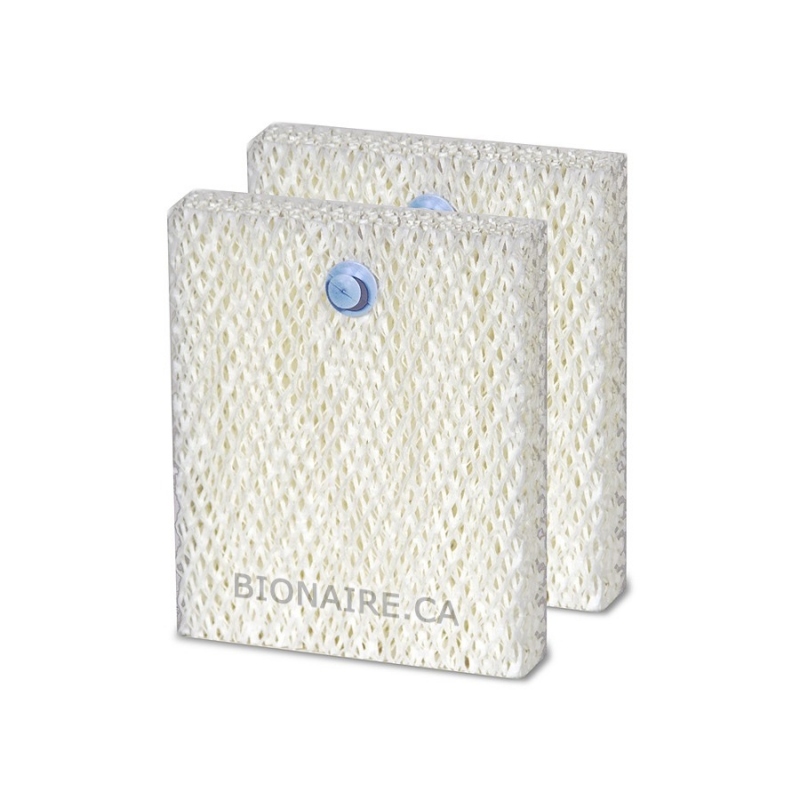 Bionaire BWF2002P Long-Life Wick Filter 2-pack Type F.
Bionaire BWF2002P Long-Life Wick Filter is a Genuine OEM Bionaire humidifier filter. 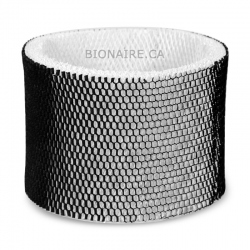 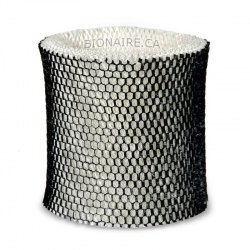 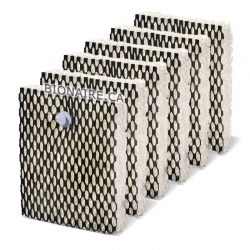 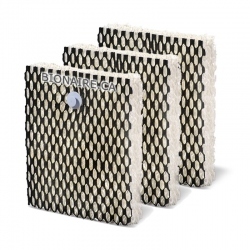 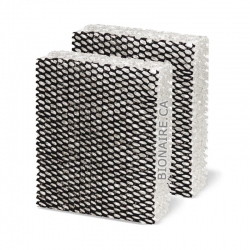 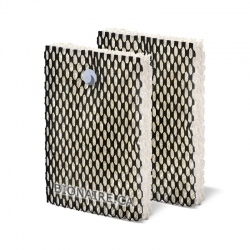 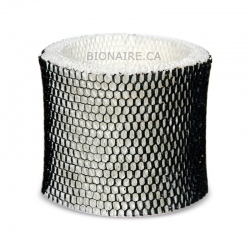 Bionaire BWF2002P Wick Filter can last up to 3x longer than a conventional wick filter. 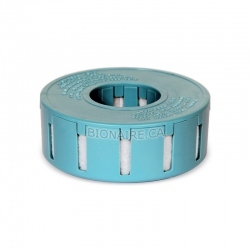 Bionaire BWF2002P Wick Filter fits BCM7900, BCM7901, BCM7903, BCM7904, BCM7910, BCM7911, BCM7912, BCM7913, BCM7914, BCM7920, BCM7921, BCM7922, BCM7923, BCM7924, BCM7930, BCM7931, BCM7932, BCM7933, BCM7934, etc. 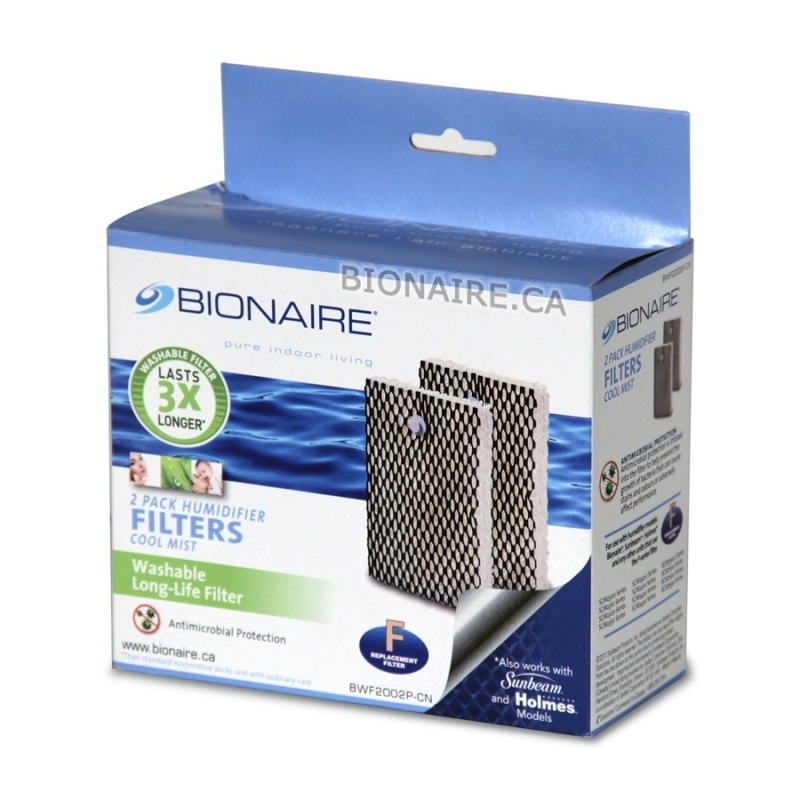 Bionaire BWF2002P also fits Sunbeam cool mist humidifiers SCM2300, SCM2301, SCM2302, SCM2303, SCM2304, SCM2305, SCM2306, SCM2310, SCM2311, SCM2312, SCM2313, SCM2314, SCM2315, etc. 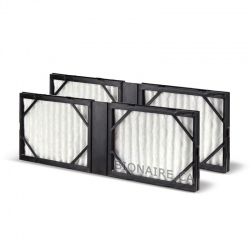 Bionaire BWF2002P Wick filter is infused with "Arm & Hammer" baking soda to help absorb household odors. 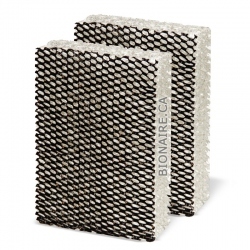 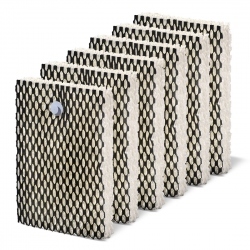 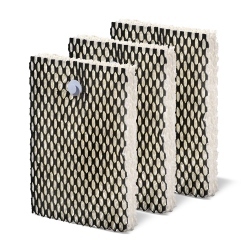 Anti microbial protection inhibits growth of odor causing bacterial, mold and mildew on the filter surface. 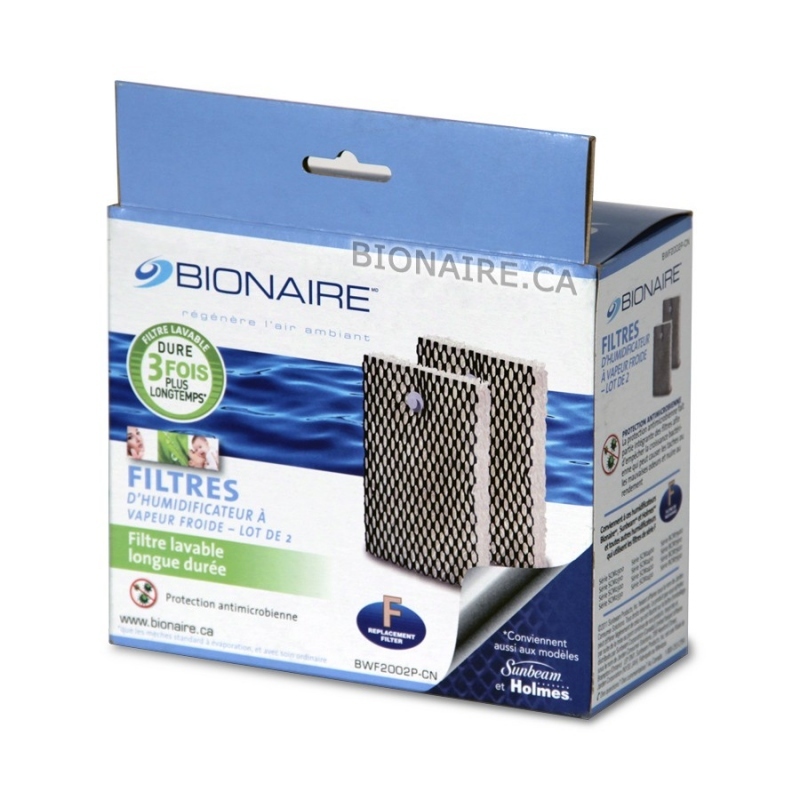 Replace Bionaire BWF2002P wick filter regularly to keep the performance of your humidifier at a sufficient level. 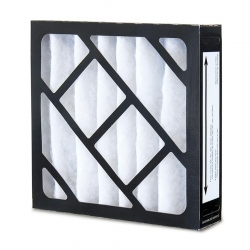 Filter's Lifetime: 2 to 3+ months. 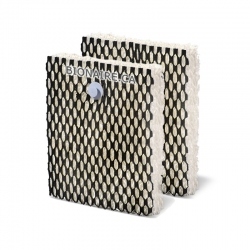 Properties "Arm&Hammer" Baking Soda infused, "Microban"